In 2004, a young girl with many shades of green in her curly hair walked into Gila Rut for an interview, fresh out of cosmetology school and ready to take on the beauty industry. Today, Nadia “Nadz” Provenzano is a full-grown woman—mom to the cutest little girl (her mini-me), full of body art and artistic flair. Over the last decade, she has mastered her craft and influenced our culture in countless ways. I wanted to specialize in cutting and become an educator one day. Check and check! I worked at my dad’s auto repair shop. What prompted you to come to Gila Rut? Fortunately for me, the stylist I was going to at the time (approximately 23 years ago) moved to Gila Rut. What was your job/career prior when you started coming to Gila Rut versus now? I was a legal secretary for the largest local law firm in San Diego. I’m now the Personal Executive Assistant to the President and CEO of the second largest YMCA in the U.S. Being a Gila Rut client has given me style. What’s your favorite thing about Gila Rut? 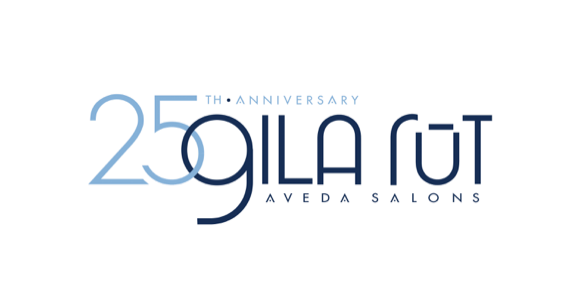 I love knowing that I will leave Gila Rut completely satisfied with my services and the customer service I receive. What’s your favorite memory of Gila Rut?